I am really liking the four Silver Laced Wyandottes that we got back in April. They have grown into very attractive birds. Their appearance is so unique and they are rather friendly. Beautiful bird. 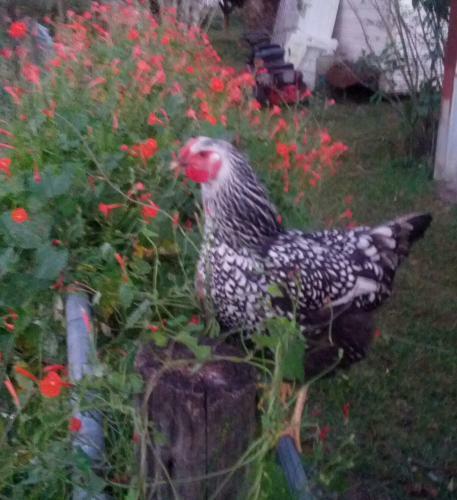 And catching the chicken against a background of orange/red flowers is great! Picks up the red coloring of the face. Glad to hear they are friendly. I must say they have a very appropriate name indeed. Beautiful bird.